Welcome to the third QGT. 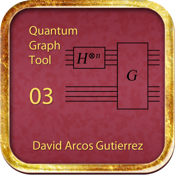 This app was designed to simulate Grover's quantum search algorithm in order to learn more about the quantum computation. I hope you enjoy this App and learn more about this algorithm.